Exciting News! 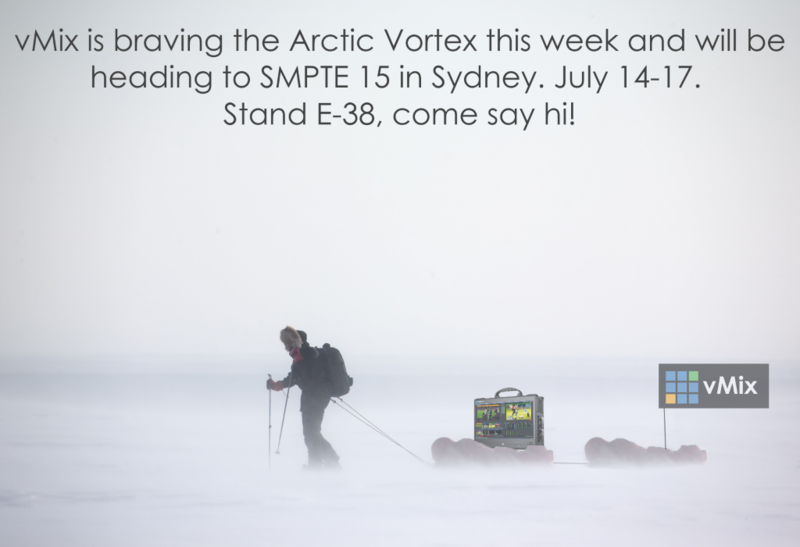 vMix will be displaying at SMPTE 15! If you’re asking why the announcement is so late…well the answer is that it was a very late decision! The decision was made at the very last minute, so over the past few days we’ve booked a booth, travel arrangements, and some flights. It will be a little makeshift this time around but we’ll be able to display the vMix GO, vMix Thunder and the Instant Replay system. Unfortunately it’s a very small booth so we won’t be able to bring the putting green! And the news just gets worse from there….The Muppets haven’t made the trip back from the US and have decided to extend their holiday. We’ll try and make do! There may be a miniature green screen with some Lego friends of mine helping out as models. But we’ll have to wait and see. It’s very last minute so who knows what might happen! At the least people will be able to try out all of the vMix products and have a chat to us about their projects. If you live in Sydney or you’re attending the show. Swing on by Stand E-38. It looks like it’s going to be cold, so come by and warm us with your smile!